Ingredients: Water/Eau, Glycerin, Rosa Centifolia Flower Water, Sorbitol, Sodium Hyaluronate, Bambusa VulgarisLeaf/Stem Extract, Portulaca Oleracea Extract, Centella Asiatica Extract, Aloe Barbadensis Leaf Juice, Cocos Nucifera ( Coconut) Fruit Extract, Glycine, Ethylexylglycerin, Polysorbate 20, Xantham Gum, Usnea Barbata ( Lichen) Extract, Zanthoxylum Piperitum Fruit Extract, Pulsatilla Koreana Extract, Allantoin, Eythritol, Glutamic Acid, Lysine, Leucine, Methionine, Valine, Serine, Cysteine, Aspartic Acid, Alanine, Arginine, Isoleucine, Tyrosine, Threonine, Phenylalaline. Never thought I would find a sheet mask that actually fit my face but this one is perfect. I really like this mask, it hadn't a cooling effect but was also very moisturizing! Would buy again! I LOVE these masks! They feel wonderful! I'm obsessed! Very relaxing, delicate, hydrating and just have a very gentle rose scent. And they're paraben free! 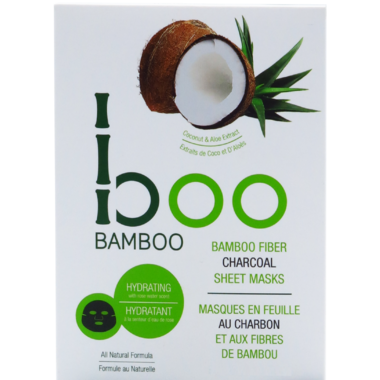 The only thing I don't love is the wastefulness of throwing away the bamboo fibre mask every time.